Most students find writing a thesis proposal the most difficult part in doing a thesis paper. Since you still have no idea of what your entire thesis should be all about, then that’s not surprising to know. In other words, your thesis proposal serves as the framework for the entire paper. Once you’re done with the proposal, it will then be easier for you to continue the whole paper. So here’s how to write a thesis proposal. Assuming that you have already selected a topic, proceed with writing an introduction. It shouldn’t be as perfect at first but make sure that your overview will hook your readers’ interest. In some cases, others write the introduction after making the rest of the proposal. Outline your problem statement by formulating a question and restating it in a statement form. When you think of a research question, also think of the possible consequences. Provide background information to your readers. State why your topic is important and also specify concrete examples to support your claim. Identify the purpose of your study – whether to analyze, evaluate, understand, interpret, or change. The purpose is the goal of your study. Under the significance is the importance of your study. Here, you should state the benefits your readers will get from your research. It should also answer the question “So what?”. In the methodology, provide at least three research methodologies and explain how each one of them will help you attain the results. Gather information about other studies and theories that will help support your approach, then put them under the literature review. It is a way of critically analyzing the context of each theory in relation to your study. Create your hypothesis by clearly stating your expected result. In the definition of terms, define the technical terms that are used or will be used in your paper. When you provide the meaning, always link it to your topic or study. Clearly define the scope of your study and be specific to how it is limited in the scope and limitation. Consider your respondents, the sampling method, the measurement, the design, and anything that is required for your study. Under the procedure, discuss in detail all the steps that you need to do in order to perform your study. A thesis proposal should be written in present and future tenses, while a thesis should be written in past tense. A thesis proposal serves as an outline of your idea for the whole thesis to be conducted. Generally, students are asked to make a thesis proposal before conducting a study to find out if it is feasible enough to attain. Although it may look like a brief overview of how you are going to get through the whole paper, a thesis proposal still requires a lengthy thinking process. 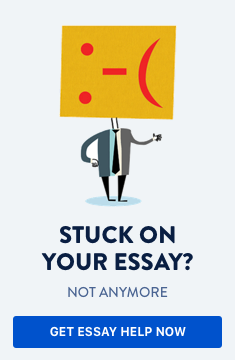 Still wondering how to write a thesis proposal? Make sure to follow the tips outlined above.